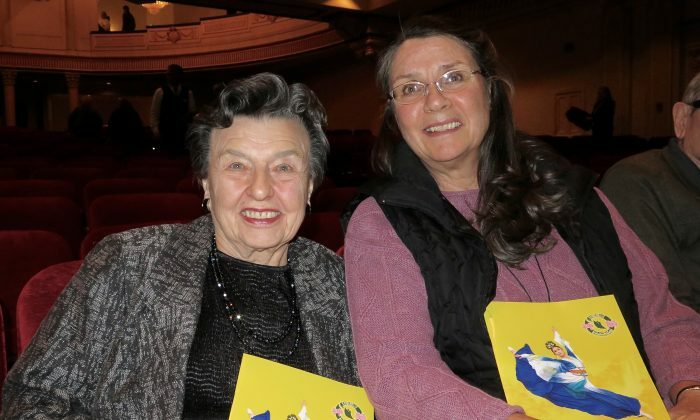 SALT LAKE CITY—Audience members in Salt Lake City spoke with great admiration of Shen Yun Performing Arts’ superb artistic quality and rich cultural value as the world-renowned classical Chinese dance and music company made a two-day stop in Utah’s high-elevation capital in the final days of 2015. Shen Yun’s grand presentation of China’s rich history and culture, expressed through classical Chinese dance—an ancient art form—accompanied by a unique orchestra, beautiful costumes, a state-of-the art animated backdrop, and other props, was a unique experience for audience members, and the meticulous attention to detail and the superb quality in the performance were not lost on the artistic crowds who attended the performance. Nevaida Harper, a now-retired professional singer and music professor, praised what she called perfection in the performance. “Such cleanness and perfection all the way through—very clean,” said Ms. Harper, who attended the performance with her daughter Naidra Rowland on the opening night on Dec. 29. This “cleanness,” explained Ms. Rowland, refers to the precision and harmony in the performance. “I think she’s talking about how it’s meticulous and there’s a congruency to it that’s beautiful. And everyone is working together, and the colors and the scenery and all of it—it’s just like fantasy,” Ms. Rowland said. The performance also expressed profound values and principles from China’s divinely inspired culture through the dance storylines and musical performances, which earned the praise of the mother and daughter. “It was very enlightening, very much so,” said Ms. Rowland. If there is one word to describe Shen Yun’s performance, it would be “fascinating.” At least, that’s how Shelley Rich sees it. Ms. Rich is very passionate about the arts. She has done ballet since she was a young girl, plays the violin, and is currently an arts teacher at a local elementary school, seeing over 500 children come through her class each week. 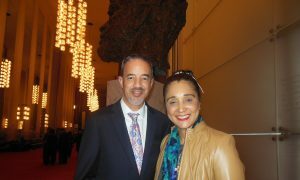 With her artistic background, she was highly impressed by the art form presented by Shen Yun, with its expressive classical Chinese dance. “It was enlightening; it was everything I had hoped it would be. 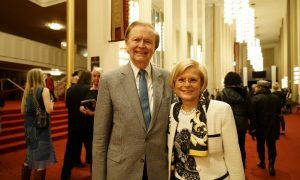 It was beautiful; it moved me on many different levels,” said Ms. Rich, who saw the performance on Dec. 30. Throughout the performance, Ms. Rich looked for inspiration and ways to incorporate what she saw on stage into her own teaching. “It was amazing. We were saying it’s one of those things that you feel like they make it look so easy, but we know it must be so incredibly difficult to be that precise, and timing that together,” Ms. Rich said. 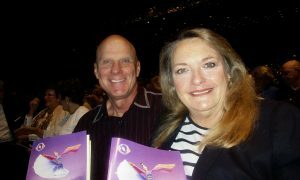 For Sharon Madsen, tickets to the Shen Yun performance were a birthday gift from her husband, one that she chose herself. “That was in November. 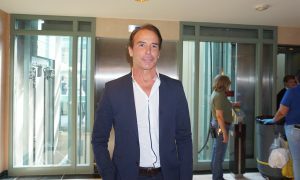 I wasn’t sure what to expect, but it was more than I expected.” Ms. Madsen said after seeing the performance on Dec. 30. 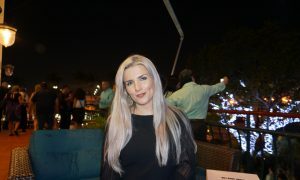 Ms. Madsen has studied music, and is a piano teacher. 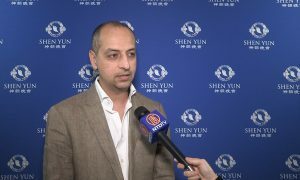 She said the music in Shen Yun, performed by a unique orchestra that combines traditional Chinese instruments and classical Western instruments, was very soothing. The first dance piece in the performance, with its combination and dance, music, and beautiful costumes and backdrop, had a profound effect on Ms. Madsen. “It brought me to tears … It’s just a beautiful performance,” she said. The performance leaves one with a feeling of calmness, joy, and peace, Ms. Madsen said. Through dance and music, the performance communicates something that is hard to put in words. “The dance was just really pleasing to watch,” Ms. Madsen said. For her, the performance is beyond only superb dance techniques and beautiful music. “It has a spiritual quality to it … it has a depth that really brings—it’s hard for me to describe—that peace,” she said. 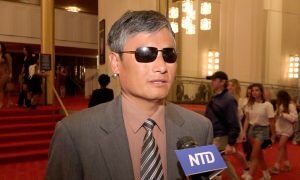 Indeed, as Shen Yun’s website explains, the company’s performances are beyond just sophisticated dance techniques, a unique orchestra, beautiful costumes, and a stunning backdrop. During the performance, “mortals and divine beings merge on stage as one;” the performances showcase cherished principles from ancient China such as benevolence and justice, propriety and wisdom, respect for the heavens, and divine retribution. “It was far more than I expected. I loved it,” Ms. Madsen said.